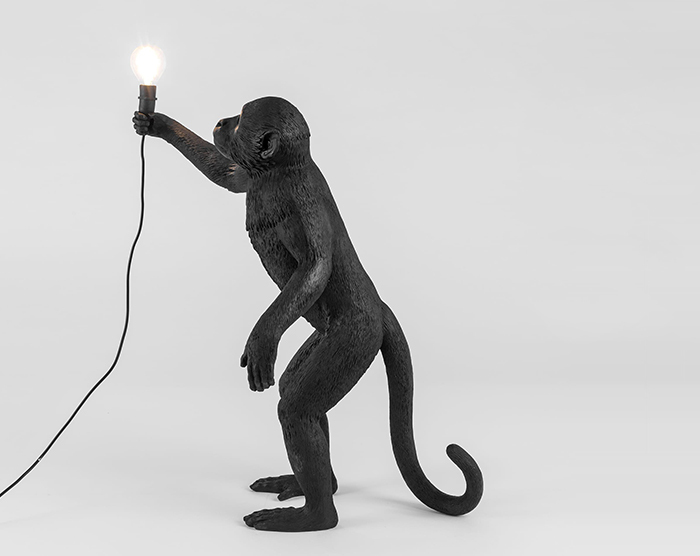 The Monkey Lamp Collection is a grouping of curious primates with included LED light sources, grasping the bright torches for comfort and survival. 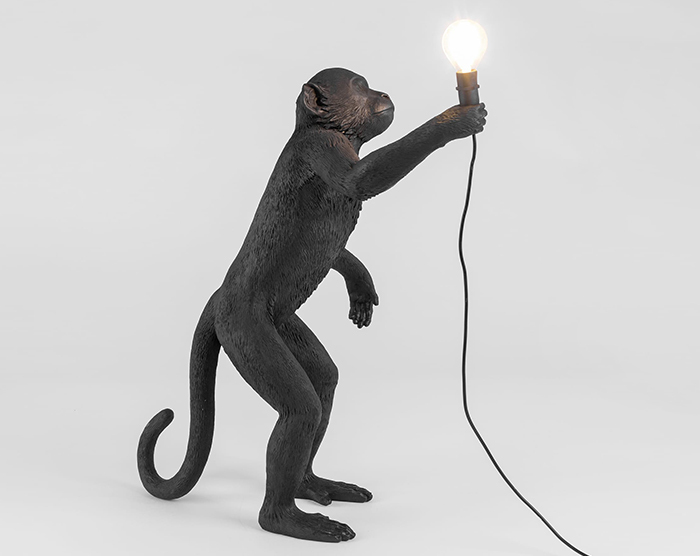 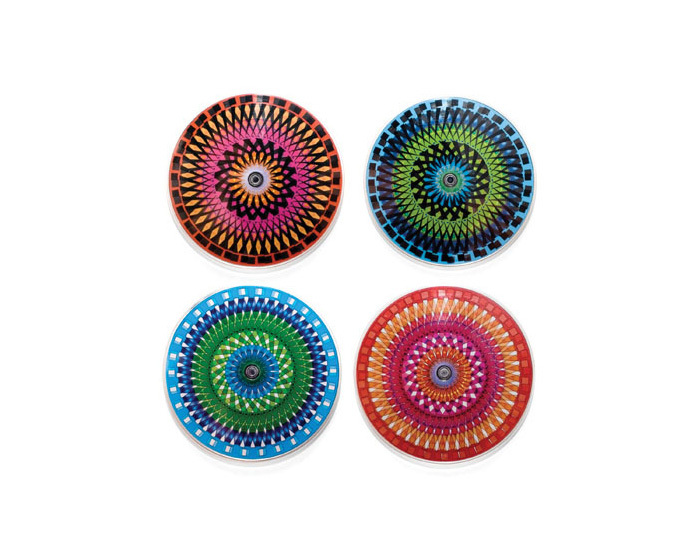 Sitting, standing or hanging, each monkey is composed entirely of resin like a statuesque wax sculpture. 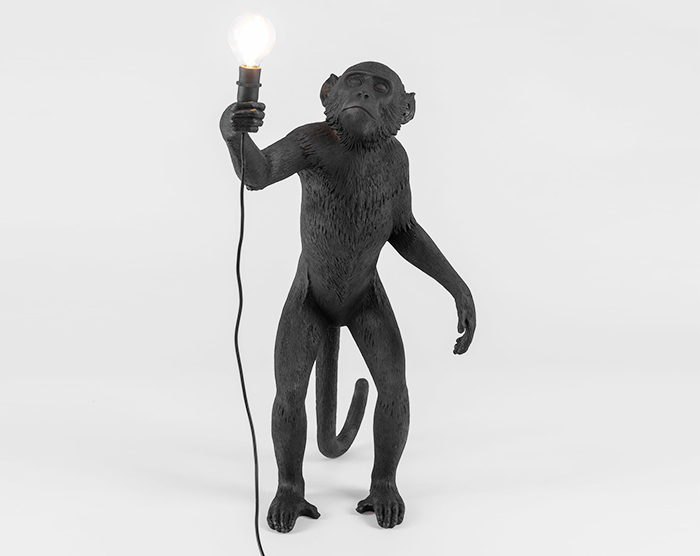 The light source is hardly primitive as the socket includes a warm LED bulb, illuminating an allegory of innovation to the primal nature of the animal. 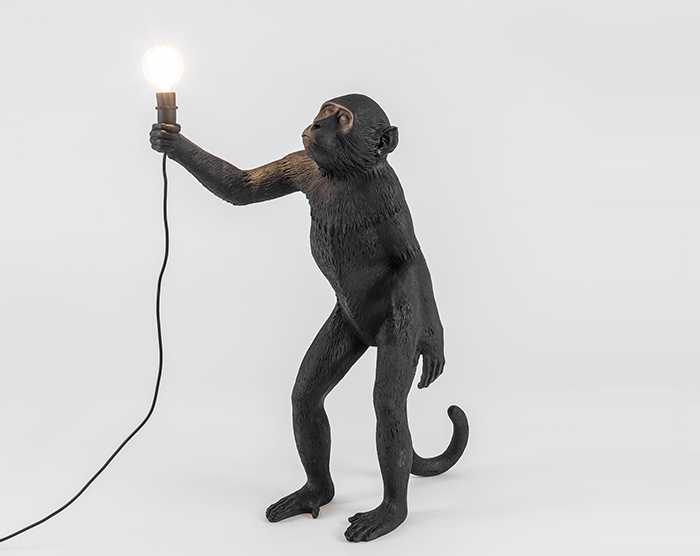 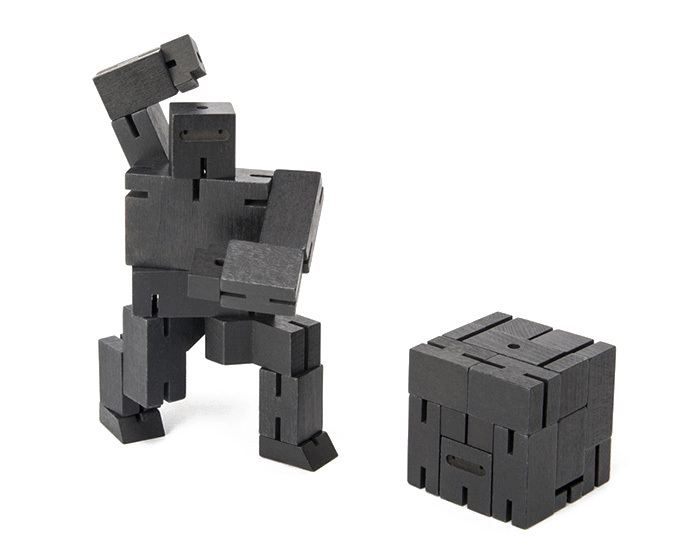 This Standing monkey can be a floor or table light. 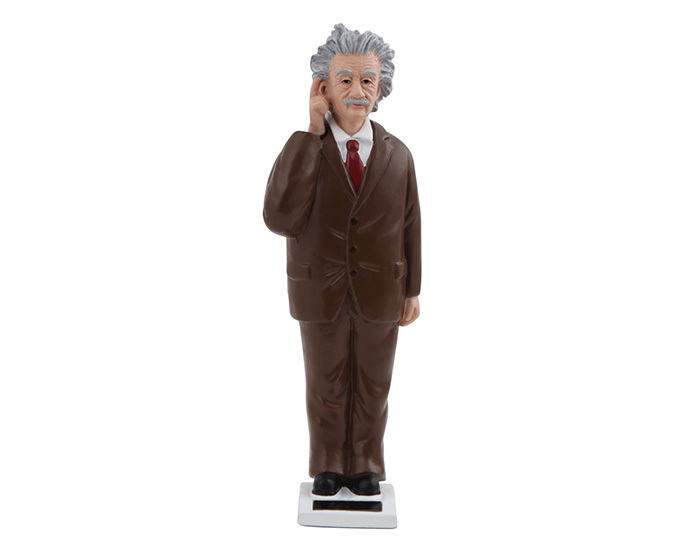 all versions are plug-in installation.